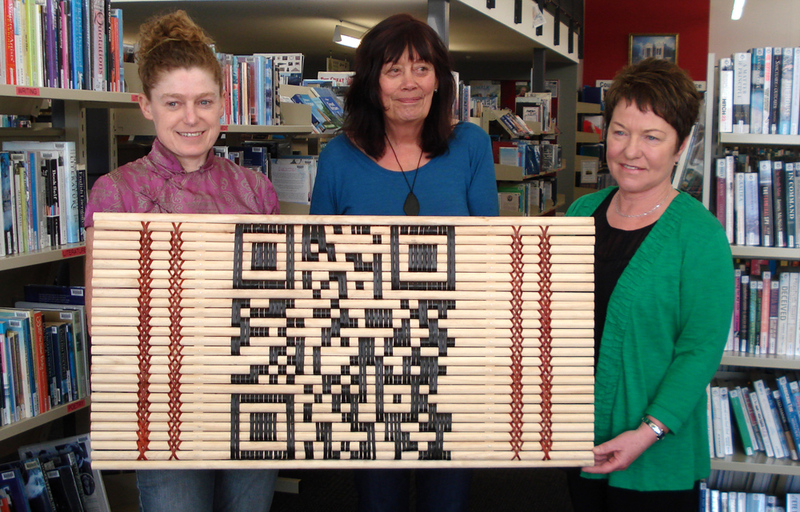 Together they constructed a work of contemporary culture, a QR code created through the woven art of tukutuku. 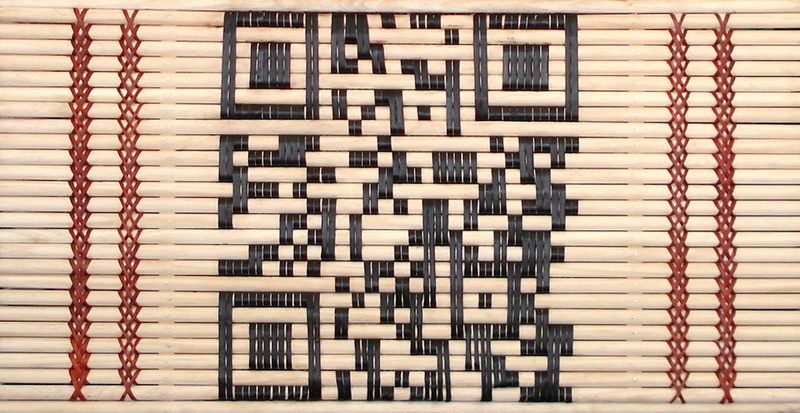 While QR codes which can trigger the opening of web pages and web based media may seem distant from traditional Maori weaving, the two have interconnections. Both are forms of storytelling that are encoded in a formal visual language of positive and negative. The ‘binary code’ of weaving and the information held by a QR image are similar to the codified stories told through the patterns of tukutuku. In terms of digital heritage, it is acknowledged that an important historical step in the development of intelligent machines (which later on became computers), was the Jacquard weaving loom. The location of the work in the Westland library highlights the link the library has to the World Wide Web as the biggest repository of ‘woven information’ [Tukutuku-Ao-Whanui]. Creating a working QR code at a scale of one metre high using tukutuku method, required experimentation as the demands for QR codes are precise.